Traumatic Brain Injury. Whether you call it a concussion, being knocked out, or having your bell rung, it’s one of the signature injuries of the current wars. Advances in medical treatment and equipment have increased the survival rate and decreased the mortality battlefield wounds; while a great thing in almost all respects, this has increased the number and severity of debilitating injuries, including TBI. Dr. J. Blair Cano, a Neruopsychologist and Navy veteran, shares some facts about TBI in servicemembers. The Brain Injury Association of America defines Traumatic Brain Injury as an alteration of brain function, or other evidence of brain pathology, caused by an external force. Motor vehicle accidents, falls, assaults, or being struck by or against something are the most prominent causes of brain injury. . There are typically two forms of primary injury: focal (isolated) and diffuse (widespread). A focal injury is acute and results in a contusion and/or hematoma. A diffuse injury causes distributed damage to the axons and cell membrane that surrounds the axon. A focal injury can lead to edema, increased intracranial pressure, hemorrhage, and decreased cerebral blood flow that can lead to ischemia. Focal and diffuse brain injuries lead to excitotoxicity (overactivity of receptors for the excitatory transmitter glutamate), oxidative stress, mitochondrial dysfunction (mitochondria produce energy at the cellular level of all cells in the body), and inflammation. These changes lead to synaptic dysfunction (impaired transmission of neurotransmitters), necrosis or programmed cell death, and axonal degeneration (damage to the white matter tracts in the brain) (communication pathways). What are some of the signs of TBI? Experts categorize symptoms of TBI as physical, cognitive, emotional, and sleep impairment. Post concussive symptoms include headaches, dizziness, short-term memory loss, noise and light sensitivity, anxiety, depression, fatigue, and irritability. Is common that these symptoms impair functioning at work, school, social interactions, and leisure activities. Multiple mTBIs and blast injuries result in axonal shearing, which leads to tangles and plaques, leading to neuronal death and brain atrophy, resulting in a neuropathology termed Chronic Traumatic Encephalopathy (CTE). Medical professionals see this pathology in NFL players, professional boxers and is currently being studied in military personnel. Symptoms of CTE include depression, headaches, and short-term memory loss in the early phases. As the syndrome progresses, there is difficulty controlling impulses, suicidal thoughts, and severe headaches. Advanced stages include apathy, more severe memory problems, impaired judgement, paranoia, severe depression, aggression, and suicidal behaviors. What are some of the common forms of TBI? The most common form of brain injury sustained by members of the military is blast-induced mild traumatic brain injury. Explosive devices result in pressure waves that induce a sudden increase in intracranial pressure, which disrupts axonal pathways and damages capillaries. Blast induced injuries are considered primary injuries. Sometimes the force of a blast wave will propel objects toward a person, causing a secondary injury. When a person is blown into an object or solid surface, it is called a tertiary injury. These injuries lead to fundamental changes in brain structures and cortical thickness. Changes like this are associated with symptoms of PTSD such as depression and post concussive symptoms. Blast induced mild traumatic brain injury typically cannot be detected by MRI or CT.
What brain structures are impacted by TBI? 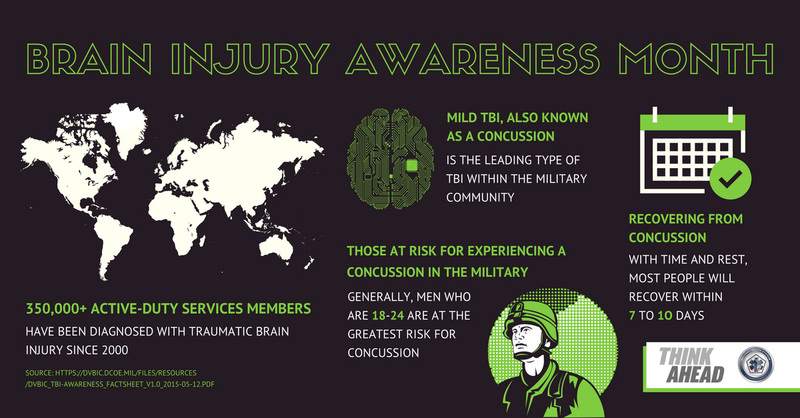 Numerous brain structures are impacted by mild TBI, resulting in many neuropsychiatric symptoms. These include impairments in executive functioning, apathy, disturbances in interpreting social cues, working memory impairments, disinhibition, irritability, aggression, inattention, hyperarousal, impaired information processing, impaired sensory gating, altered eating and sleeping habits, and pathological affect. Depression is the most common symptom associated with TBI, and remains an elevated risk for decades after the brain injury. Suicide rates among patients with TBI are higher than the general population and patients with TBI and a loss of consciousness have a 4x higher incidence of suicide attempts than the general population. Other psychiatric symptoms occur at a higher rate after TBI as well, to include increased rates of mania, irritability, aggression, seizure activity, panic, avoidance, insomnia, psychosis, and personality changes. Dr. Blair Cano is a Navy veteran and licensed psychologist in Colorado and Hawaii. She serves as the founder and clinical director of Neurofeedback Colorado Springs. In the Navy, she served with VF-101, a fighter squadron based in Virginia Beach, VA. She received her Bachelor’s in Sociology/Criminology from CSU-Pueblo, holds a certificate in Forensic Criminology, and obtained her Master’s and Doctorate are in Clinical Psychology from the University of the Rockies. She developed significant experience in neuropsychological assessment and rehabilitation of highly complex children and adults, most of whom suffered from an array of diagnoses. 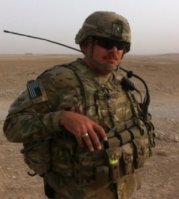 As a retired Navy veteran, I work extensively with the veteran population and their families, advocating for a holistic assessment and treatment approach for our veteran population.